Congratulations to this week's Splitcoaststampers' Featured Stamper, ponygirl2. 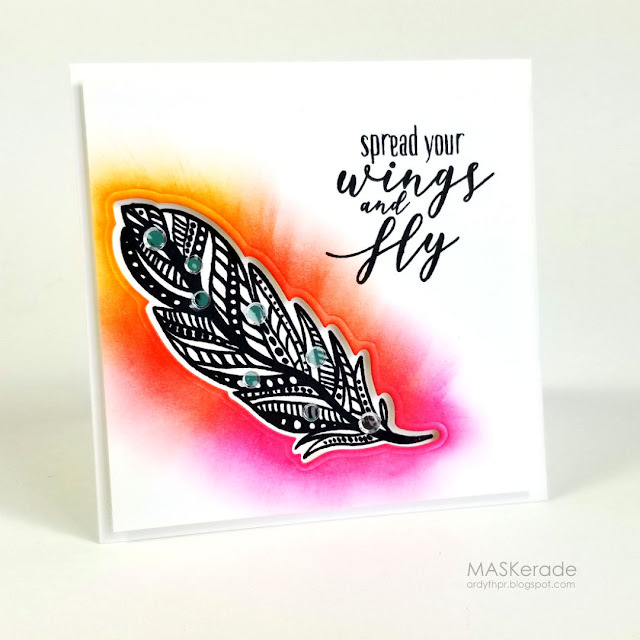 I then placed the panel over my card base and positioned my feather stamp before stamping it in black. I then stamped my sentiment on the coloured panel. I popped up the colourful panel over the cardbase and added a few sequins for some sparkle. It's bright and beautiful indeed!! I have watched this numerous times and each time I love this video and the result - a fabulous card Ardyth. I'm going to try this I have a feather in a different set!! Pretty card! !